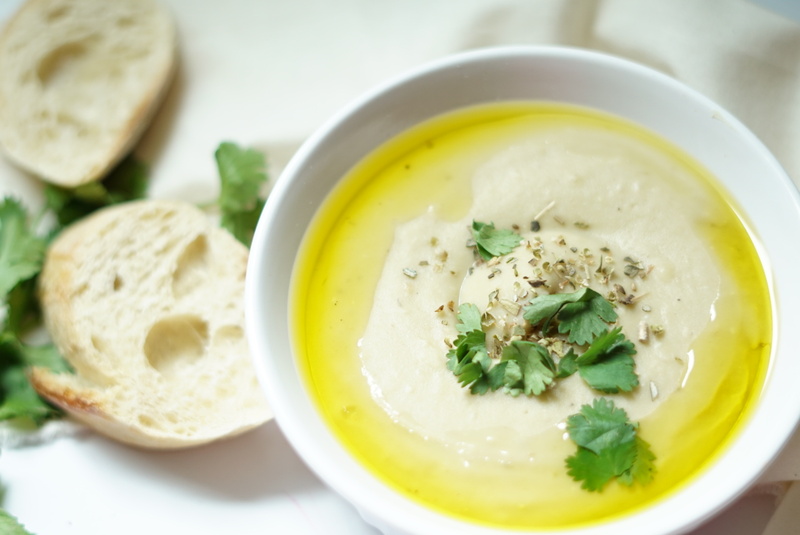 Take a break from the usual hummus and switch it up with this white bean dip. This dip is full of protein and healthy fats and also has an amazing creamy texture. It’s perfect for a healthy snack or as an appetizer. The best part about this dip is that it can be made in under 10 minutes! Grab your favorite veggies or a warm baguette and get dipping! Place the avocado, beans, garlic, lemon juice, and olive oil in the bowl of a food processor (or blender). Pulse until the mixture is smooth. Season with salt and pepper, to taste. Transfer the bean puree to a small bowl. then garnish with parsley, oregano and a drizzle of olive oil. Pair with warm baguette, veggies or pita bread.